And, just as a black joke, some of their subject organizations advertisethemselves as Secret Societies. They have agents and “sleepers” planted everywhere. Many of these people have no idea who they are really reporting to. Others are active members of the conspiracy, working their way ever deeper into the fabric of society. Those who can’t be dealt with any other way are discredited or driven mad. They control the news media, so you hear what they want you to about today’s news. Any event that doesn’t fit in with their program will be quickly hushed up. In particular, they control television. They don’t permit intelligent shows to survive; they encourage mind candy that will keep people from thinking. The only reason good shows are permitted to appear at all is to convince intelligent people that nobody else likes such material, and that there must be something wrong with them. Likewise, the entire “energy crisis” is an Illuminati invention. There’s no shortage of energy, of a dozen different kinds, but plentiful free energy might threaten the Illuminated power base. The Illuminati are doing their best to hold back the space program, for the same reason. If mankind was spread out through the solar system, they’d be much harder to control. [Not all the Illuminati agree on this. Some of them lust after the mineral wealth of space, and some want (literally) new worlds to conquer. And some of them are in touch with aliens from outer space. Some of them ARE aliens. Why would “advanced beings” want to meddle with the affairs of Earthlings? Good question. Other Illuminati have embraced technology. Their files of information are much more useful when backed by the power of the computer. They are also conditioning everyone to believe that computers are so complicated and dangerous that only the Experts should play with them. Next time you get an electric bill for $666,666.66, you know who’s behind it. The Illuminati don’t like war; it’s expensive and wasteful. 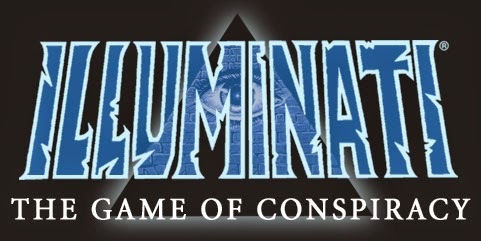 War only happens when two groups of Illuminati are very evenly matched and neither is willing to negotiate. But then they whip a few nations into a patriotic fervor and go at it. They keep everyone – yes, everyone – under constant surveillance. Every time you fill out another questionnaire, you’re weaving another strand of the net that binds the world. Their arcane investigations cause all sorts of mysteries. Ever wonder about the Loch Ness Monster? The “cattle mutilations?” The Oregon Crud. They are constantly experimenting with new types of mind control. They put drugs in drinking water, flash subliminal messages during movies and TV shows, and play instructions that you can’t quite hear over supermarket loudspeakers. They experiment with microwaves and ultra-low-frequency devices, too. They also publish supermarket tabloids, just to make sure that everybody thinks “Hitler’s Brain Is Alive!” and “Bigfoot Seen In Hawaii” are just jokes. And they encourage the craziest pseudo-science “researchers” they can find, because this tends to discredit legitimate investigators into the unusual. You’re not cleared for this one. They use disease as a weapon to discipline their own populations or destroy competing ones. Black Death in Europe, smallpox among the American Indians . . . The swine flu, a few years ago, was thwarted by opposing forces, or you probably wouldn’t be reading this. They have a variety of unhuman and inhuman servants. The dreaded Men in Black are perhaps their best-known agents. No one knows whether the MIBs are androids, golems, or something even worse. Perhaps they were oncehuman . . .
And they really are breeding a Master Race. The Nazis had no idea how they were being used, or why. And they’d be horrified at the Illuminati’s idea of perfection. The next time you spend too much money to buy something you didn’t want or need, and it breaks in a week, you can be sure you’ve just contributed to an Illuminati fund-raising project.